At Generations Dental Care, our team always enjoys being able to help our patients achieve the stunning aesthetic improvements they want at a price that’s reasonable and affordable. 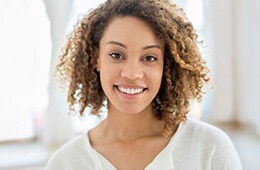 If you’re ready to give your current smile an update, don’t hesitate to schedule a cosmetic dentistry consultation in Concord at Generations Dental Care! We offer a wide range of dazzling, effective services that can bolster your self-confidence for many years to come. For many adults, gapped or misaligned teeth have simply become an unpleasant fact of life that they have to live with – after all, they missed the boat on traditional braces. Here in Concord, we’re happy to inform you that this isn’t the case at all, and there’s a mature, aesthetic-based orthodontic option that can create the improvements you’re dreaming of: Invisalign. Invisalign does away with the original brackets-and-wires model entirely, replacing them with clear, custom aligners. Each aligner in your personalized set will represent a different stage of your teeth shifting into the proper position. The patient’s job is to wear each aligner as directed and attend brief progress appointments at our office – that’s it. 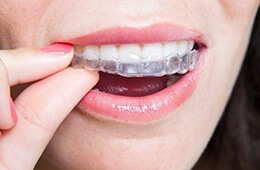 The clear nature of the aligners allows them to blend in well with your natural smile, and their removability makes it simple to continue eating all your favorite foods and brush and floss like normal. Before you know it, you’ll be ready to proudly show off a straighter set of teeth! Older patients surely remember the days of experiencing a dental injury or decay and having an unnatural gold or silver restoration placed over the tooth. Today, our doctors are glad to let you know that you can both rebuild your smile and maintain the seamlessly natural and confident appearance you deserve. When possible, we recommend metal-free crowns, inlays, onlays, veneers and other restorations that are crafted from high-quality ceramic materials. In addition to being highly aesthetic, metal-free restorations are surprisingly durable and should serve patients well for several years as long as they’re properly maintained. They’re also comfortable and biocompatible – even patients who’ve struggled with oversensitivity or outright allergies to common dental metals in the past can enjoy them. Our goal is to create restorative and cosmetic results for our patients that exceed their wildest expectations! Sometimes, correcting even the smallest imperfection can make a big difference in your overall self-esteem. Direct bonding can beautifully fix these minor issues over the course of a single, convenient appointment. The procedure is simple – one of our dentists will apply tooth-colored composite resin to the surface of the tooth, sculpt it over the flaw, and precisely shape it so that it looks natural. Once hardened, composite resin feels and functions just like tooth enamel, and it can stay in place for several years. 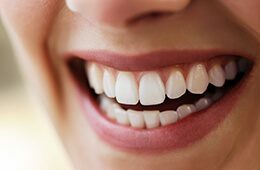 Teeth whitening is one of the most commonly requested cosmetic services here in Concord, and it’s not hard to understand why. Old age, genetics, dietary choices, oral hygiene, and other causes can leave enamel stained or yellowed over time, resulting in a lackluster appearance. Thankfully, in-practice whitening can create stunning improvements in record time. At Generations Dental Care, our cosmetic dentistry doctors are happy to provide Zoom! Teeth Whitening, which combines the power of high-grade whitening formula with a revolutionary LED light to penetrate the layers of your teeth and remove stubborn discoloration. You’ll be able to walk out that very same day with a noticeably brighter and more confident smile, which is perfect for patients who need to look their best on a deadline. Alternatively, some patients would prefer a more gradual and natural shift when it comes to whitening teeth – that’s where the Zoom! at-home products come in. These customized kits feature whitening trays and professional grade gel that can be combined together in the comfort of your own home. All you have to do is wear them for a prescribed amount of time each day whenever your schedule allows. You should see immediate positive changes after the first use, with the most dramatic results occurring after a couple of weeks. 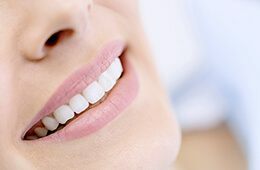 Sometimes, cosmetic issues with your smile aren’t actually caused by the appearance of the teeth themselves – an excessive or uneven amount of gum disease is the culprit instead. Thankfully, our dentists or in-house periodontist can use a state-of-the-art soft tissue laser to aesthetically recontour the gum line, creating a more pleasing shape for your overall smile and revealing healthy, beautiful dental structure that was unnecessarily hidden before.